Meeting in the basement of our pastor’s home, our small group of 20-30 folks voted and officially launched The Church at Southside in the Southside area of Birmingham on January 6, 2013. 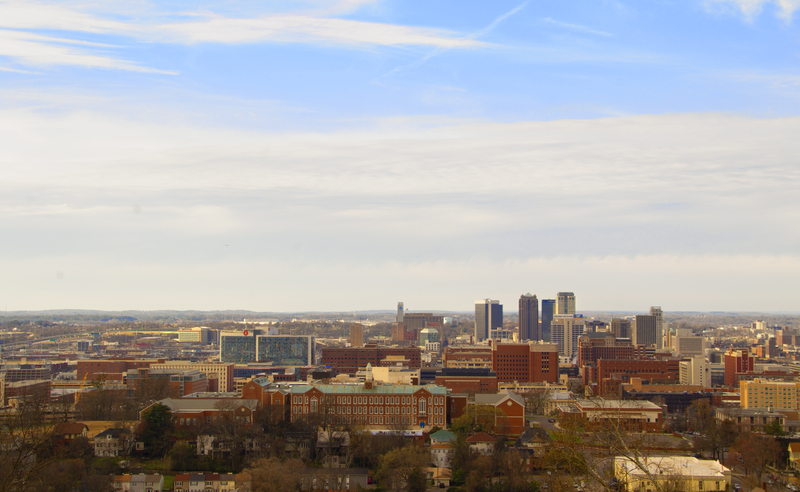 We believe we are called to this part of Birmingham to be the hands and feet of Jesus to our neighbors in the heart of the city. Why The Church at Southside as our name? When looking at how the churches were addressed in the New Testament, they were simply called the Church from their particular city. We love the simplicity that comes with the name and the beauty found in the word Church as we are a part of the bride of Christ. Fast forward to April 1, 2014. 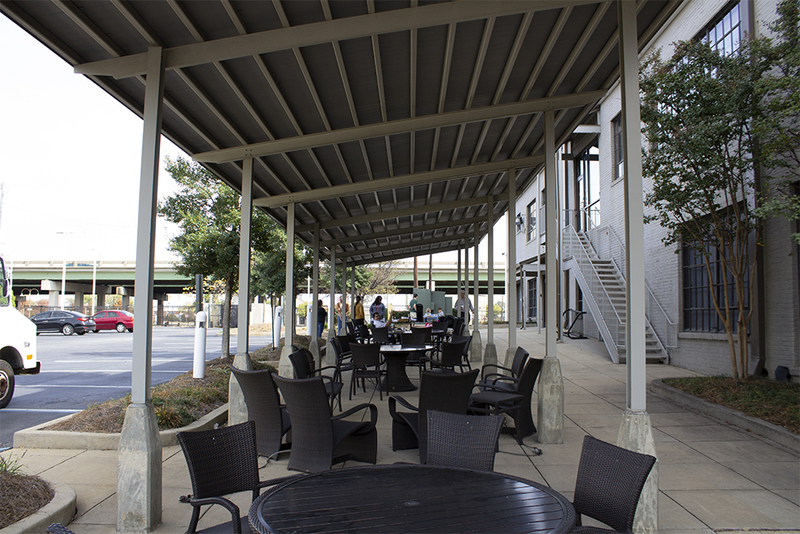 With much excitement, we took possession of our new space on Green Springs Highway. Our great God opened up this opportunity in a way we never expected, and after clean up, paint, and renovations, we moved in and launched with our building dedication service in this new location on June 1, 2014. After meeting in our space on Green Springs Highway for a little over 2 years, our pastor sensed a stirring in his heart and began to share some bold thoughts with the leadership team of our small body. 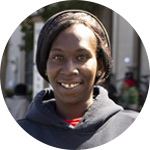 Our relationship with the homeless community in our city has grown, and with it, some relationships formed. With much prayer, we decided at the end of our lease to move out of the building and begin a new journey as an outdoor church, specifically meeting in an area close to our friends who are homeless. Slide above to see our first Sunday from November 2016 and a recent Sunday from early 2019. 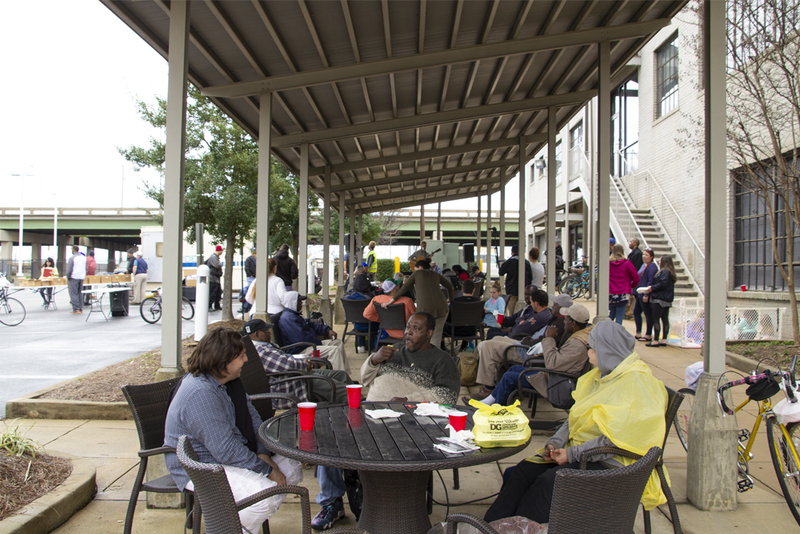 Since the first Sunday of November in 2016, The Church at Southside has met, rain or shine, in Intermark’s parking lot. Every week we offer a warm, home-cooked meal that has been prepared in the homes of our team to any and all who come. After serving and sharing a meal, we have a short service with music and the Word. Our community is invited to actively participate in the service as they feel led as we all worship together. Each week after our service, any who are in need are free to grab a bag of food and supplies for the upcoming week. We hope that you will come and be our guest and worship with us soon! So what are we all about? In a word: Jesus. That’s it. He is our reason for everything. Because of His finished work on the cross, we can live. And we want everyone to experience the same abundance of life that only comes from Him. 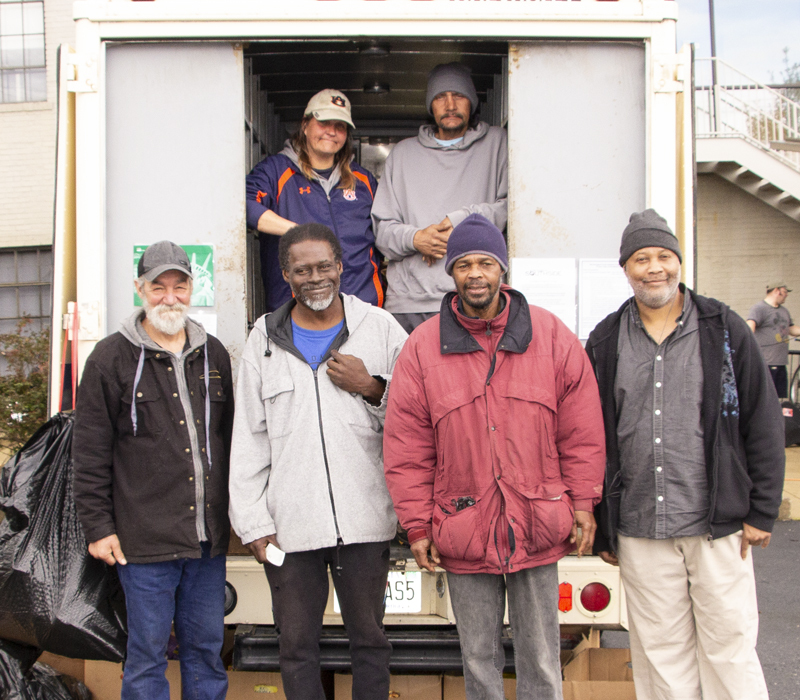 More specifically, we believe God has purposely placed us near the heart of the city of Birmingham to be the hands and feet to those close by. We are made up of people from many denominational backgrounds. We each love and respect the different denominations from which we all come. 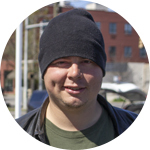 We do have strong beliefs, all of which are centered around Jesus and His Gospel. In a city historically infamous for discord, we choose to unify in Christ alone and the essentials of the Gospel, allowing all else to be considered secondary. What does that look like? We preach Jesus as the only way to a relationship with God. We are called to make disciples, who make disciples, who make disciples to the ends of the Earth. We want to love and minister to all individuals we meet along this journey. The Church at Southside can best be described as a group of people from many different denominational backgrounds who love Jesus and desire to make Him famous. We each love and respect the different denominations from which we all come. But we also have strong beliefs, all of which are centered around Jesus and His Gospel. We are a different type of fellowship than most, but this doesn’t stop with our gathering place or ways in which we worship. Our leadership model at The Church at Southside is unique, yet Biblical as well. We truly believe Jesus is the Head of our church, and we are the members of His body. Each believer belongs and has value and a voice. We lead with a team approach and have ever since our first days as a church plant. While we do have a Pastor and Worship Pastor, we have no paid staff positions at TCAS. Throughout our history, we have had a team made up of men and women that help when decisions have to be made. No one voice matters more than another, and our first step is to always pray, seek, and follow the leadership of Jesus through His Holy Spirit. Keith serves as Pastor at TCAS. He and Jamie have two children, Morgan and Bradley. Prior to leading at The Church at Southside, they served in various volunteer, bi-vocational, and full time roles in youth & college ministry for 15 years. Having grown up within the church culture, they knew the struggle of settling for the norm and status quo as Christians and church attenders. In 2010 while seeking to live beyond “comfortable,” their family was led to move from their hometown of McCalla, Alabama, to Birmingham’s Southside neighborhood. Their heart and desire for The Church at Southside is to lead in making disciples and ministering to those in the heart of the city with the love of Jesus. 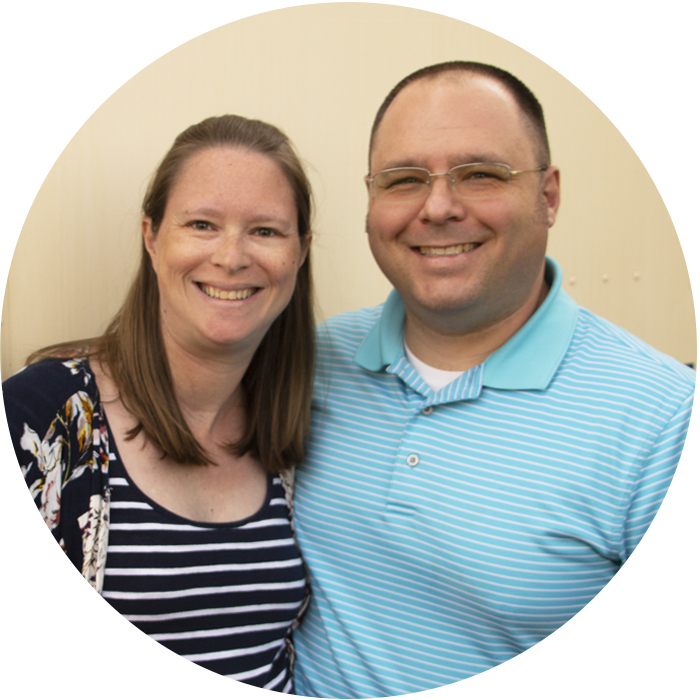 The Akins have served in leadership with The Church at Southside since 2012. Check out Keith’s blog here. 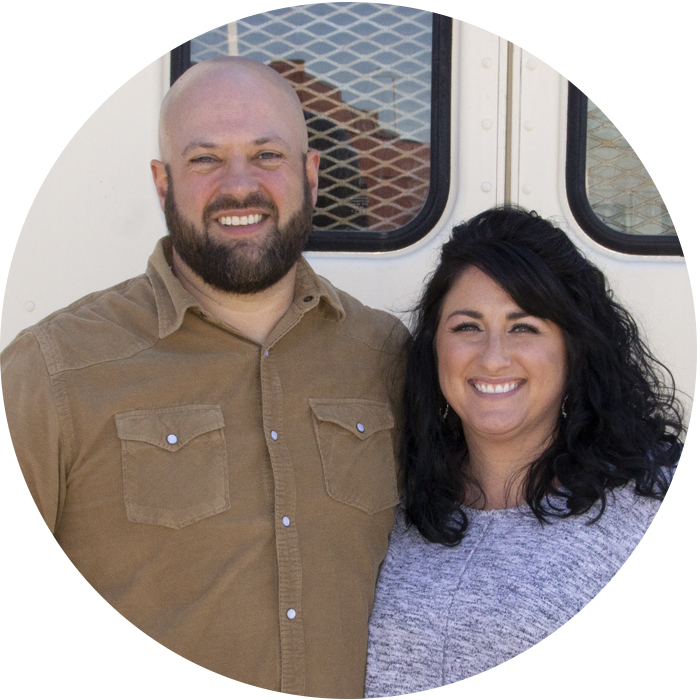 Jack and Whitney have served on The Church at Southside leadership team since 2014. Jack serves the kingdom in a number of ways, and while it would be easy to mistake Whitney for a courageous leader, her servant’s heart and tasty food can not be missed. They have two daughters being raised in the light. The Andersons were both eager to answer the call and count themselves lucky to have been able to serve the Lord in any capacity. 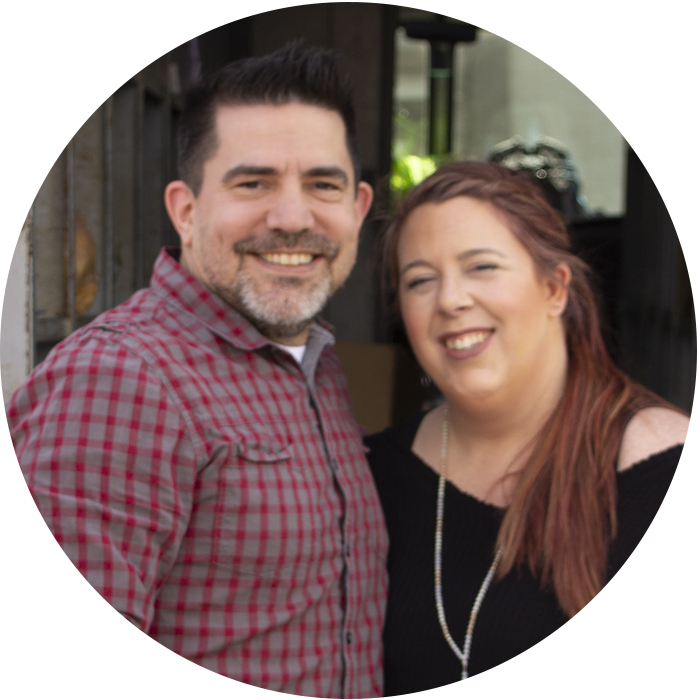 Jesse and Caroline have served with The Church at Southside since 2015—Jesse as worship leader and Caroline as cook, server, nursery worker, and wife to Jesse, which is a job in itself! They have been married since 2006 and have two children, Gideon and Tegan. Jesse has an unbelievable gift in leading people in worship. His genuineness is evident, and his desire is to take people beyond a surface level of worship. 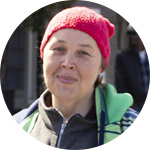 Caroline loves people and has a heart for the forgotten of our city. 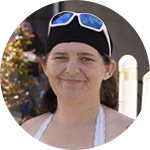 She, along with the other wives of TCAS, serve with a mother’s touch and a gentleness that mirrors the heart of Jesus. 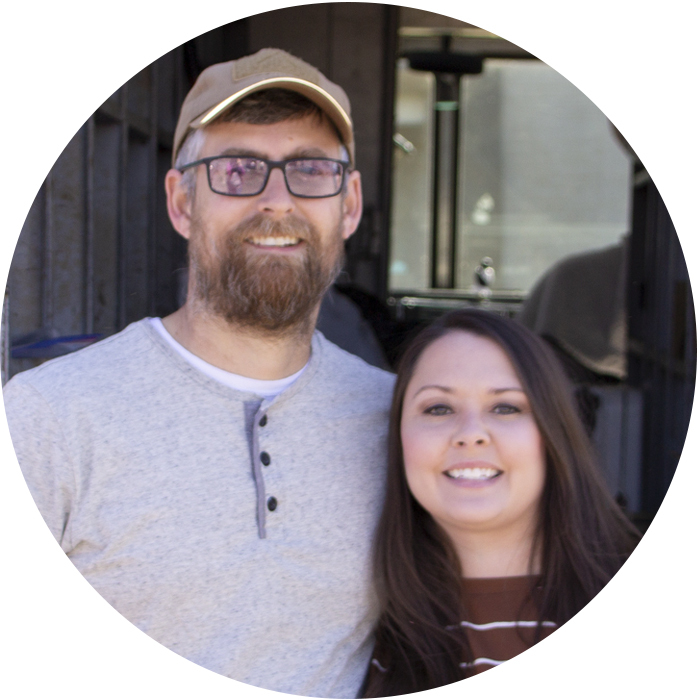 Brantley and Meredith have served on The Church at Southside leadership team since we began back in 2012. They have a daughter, Corah, and a baby boy on the way. 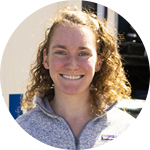 Brantley is our in-house tech geek and heads up all things media, and Meredith is the design guru, leading both the internal and public-facing design efforts, whether printed or online. While Brantley took a long and winding road to Christ, and Meredith grew up in the Bible belt’s church culture, both have found a home for their family at TCAS. 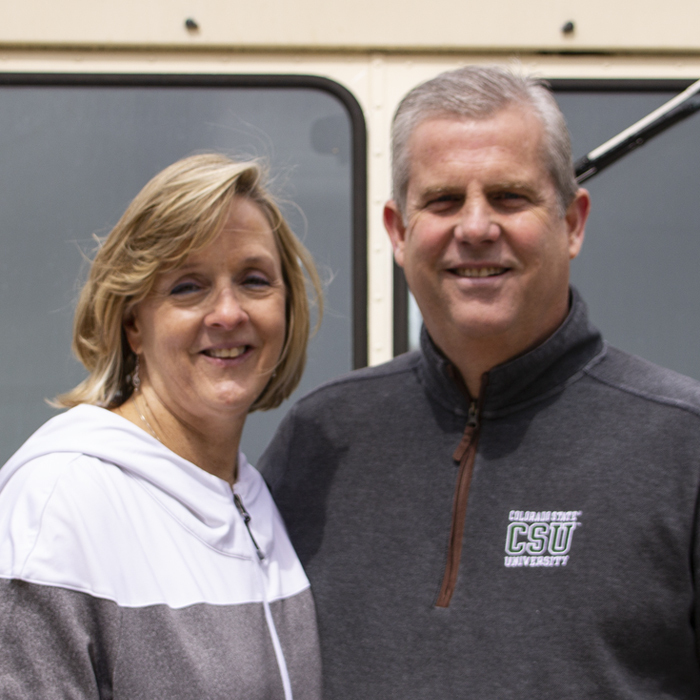 Darryl and Debbie Wilson began serving with The Church at Southside in early 2018 and were quickly drawn in and engaged in the work and ministry God is doing with and through us. 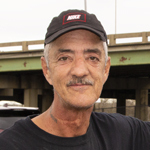 They are the most recent additions to our leadership team, but by Darryl’s contention, the “most senior and experienced” among us. During their 34 years of marriage, they have raised two adult sons, Christopher and Jonathan, and have served in churches and various leadership and teaching capacities from engaged and newly married couples to parents of teenagers and beyond. 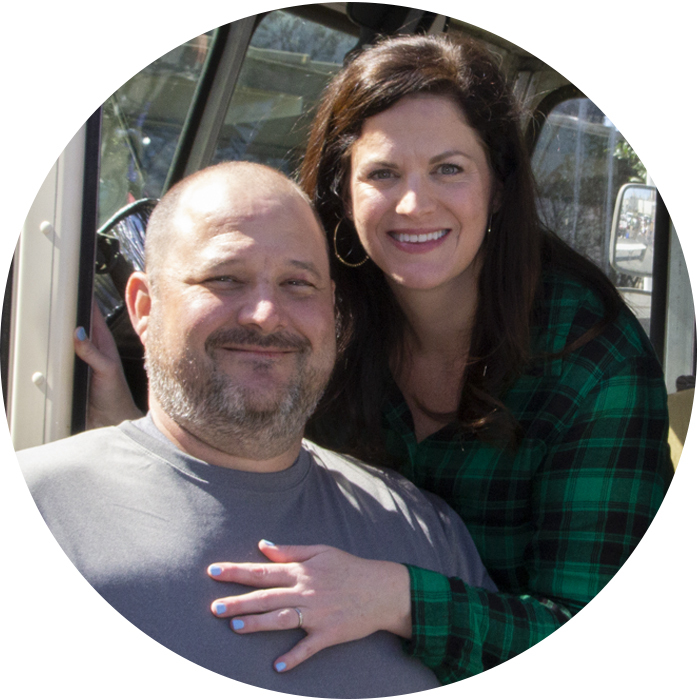 Drawn to giving back and desiring to pour out their respective spiritual gifts tangibly in this unique environment, Darryl and Debbie offer their years of experience to mentor both our membership and our leadership team in their various phases of life. 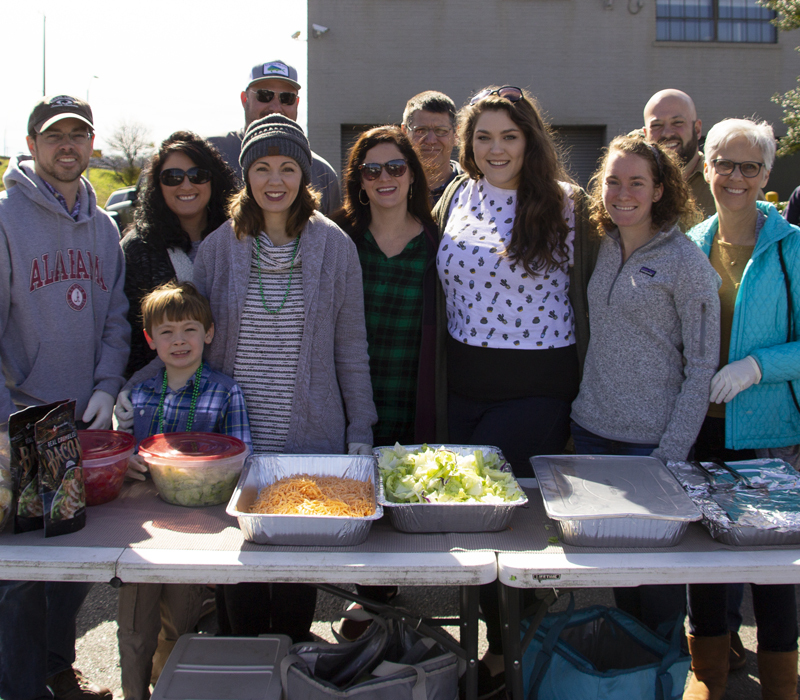 In addition to our leadership team, many members of our small church body volunteer their time during Sunday gatherings each week to lend a hand. From serving food and drinks before our service to assembling bags of supplies for the week ahead to distributing additional food, toiletries, and clothing before we all go our separate ways, our teams that selflessly serve week after week are an invaluable part of our TCAS family. Our team starts unloading tables and supplies to serve the meal as soon as the truck arrives each Sunday morning. We also pack bags of canned and boxed goods for anyone who wants to take one for the week after we wrap up our service. 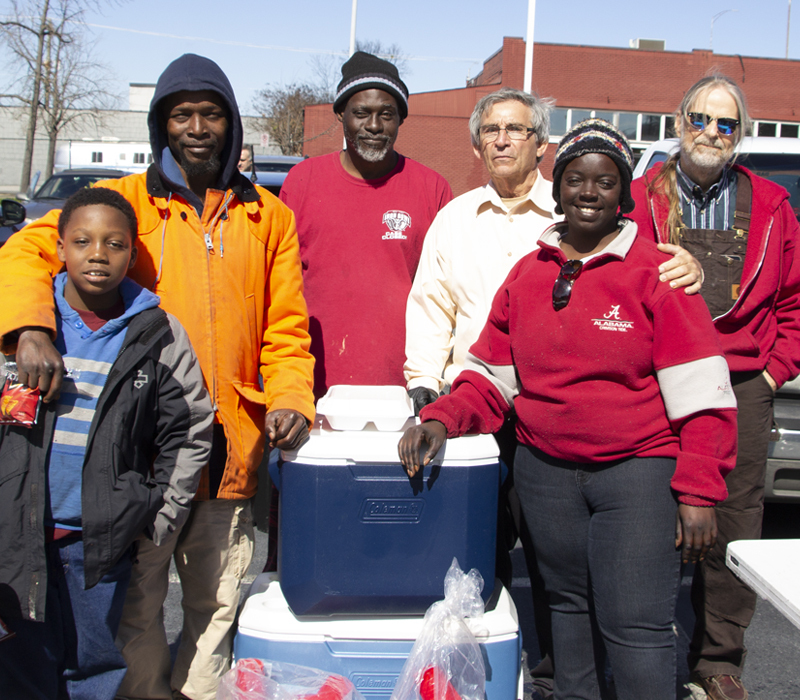 As our body of believers continues to grow, this group of volunteers serving meals frequently changes, and we are always excited to welcome outside groups that partner with us and join in to serve our 200+ meals weekly. We serve coffee, lemonade, water, and soft drinks each week so our people can keep warm on cold mornings and stay hydrated in the summer months while enjoying the meal. 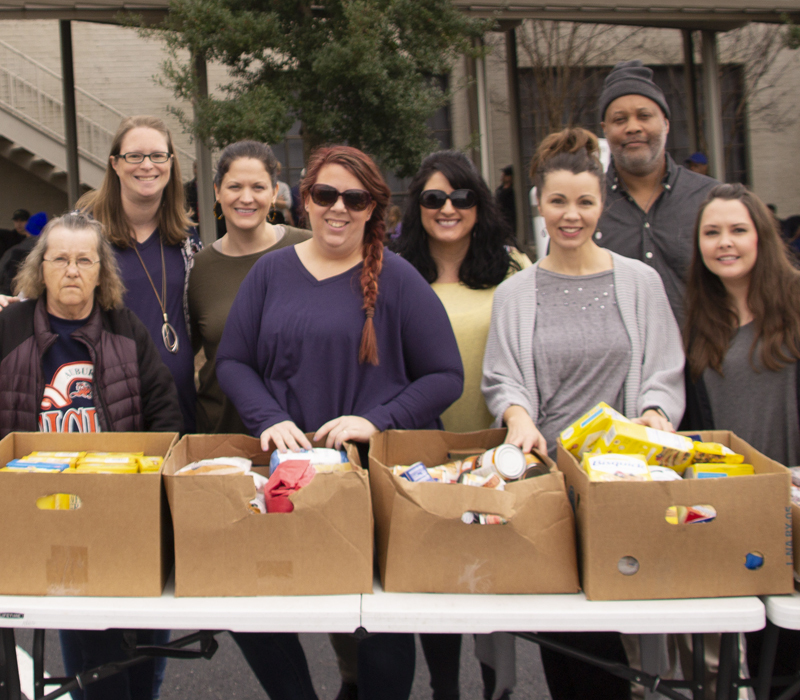 After our service each week, we distribute additional canned and boxed goods, as well as other gear or clothing items that have been collected or donated throughout the week. We also have toiletries on hand the third Sunday of every month.